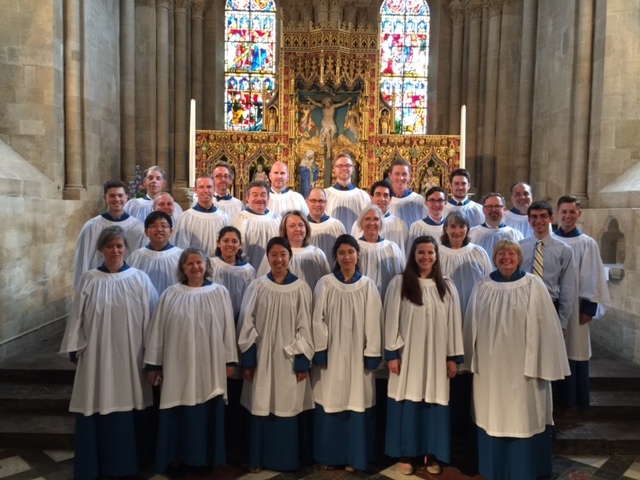 This past summer, upper school music teacher Susan Nace attended the residential Choral Conducting Institute at St. Stephen’s College of Oxford University through the new Vegesna Grant Program for teachers’ professional development. The institute gave conductors the opportunity to hone their conducting skills, working with James Jordan and the Westminster Williamson Voices, and James Whitbourn, a fellow of St. Stephen’s. The intensive daily program included master classes, seminars by eminent scholars, private tutoring, rehearsals and singing “Compline” at the end of the day. The institute ended with a concert conducted by attendees. Highlights of the institute included lectures by esteemed conductors Edward Higginbottom and Stephen Darlington; singing at Sunday Mass at Christ Church Cathedral; observing rehearsals of the Christ Church Cathedral choir; inspecting centuries-old manuscripts at the Bodleian Library; and conducting music under the tutelage of the composer.